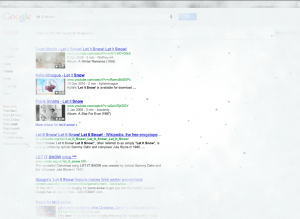 Just thought we’d share a fun little Easter Egg we found using GoSMS on Android this past holiday. 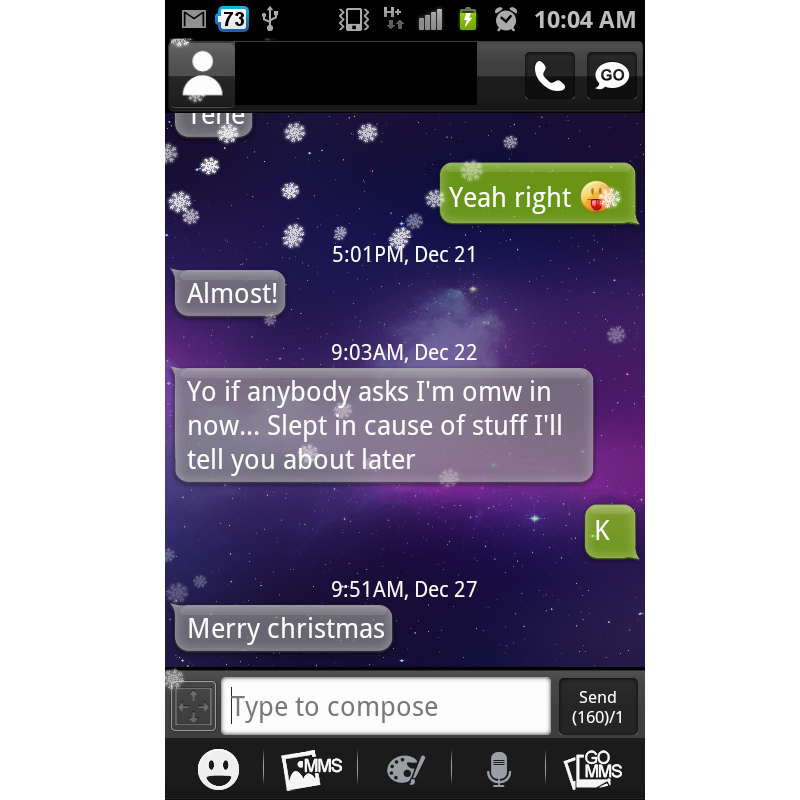 If someone texts you “Merry Christmas” and you open the message using GoSMS you’ll notice it will start to snow on your screen! 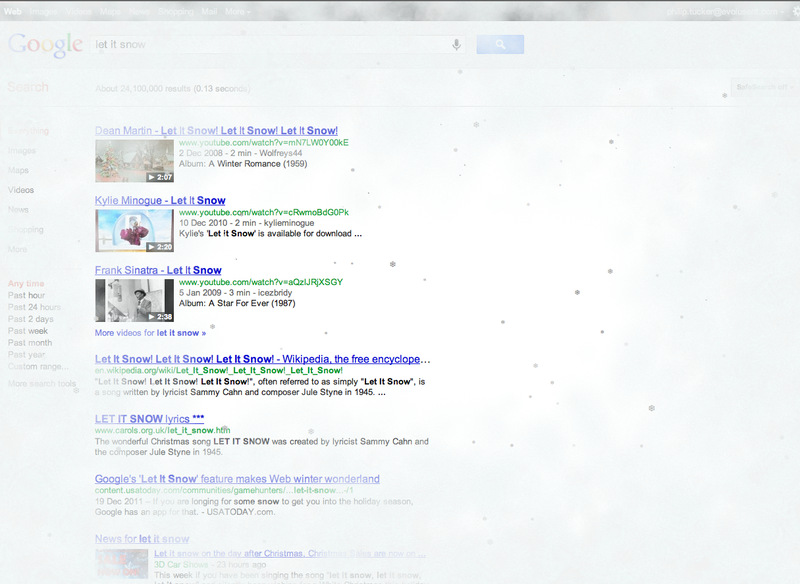 So even if it’s not a white Christmas outside for you, you can still enjoy the Holiday spirit on your phone!! 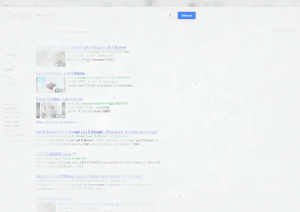 If you aren’t lucky enough to have an Android Phone (or don’t want to use GoSMS) you won’t be left out of the winter fun as we found another fun Google Easter egg recently that lets you frost over your screen with snow when you google search “Let It Snow”. 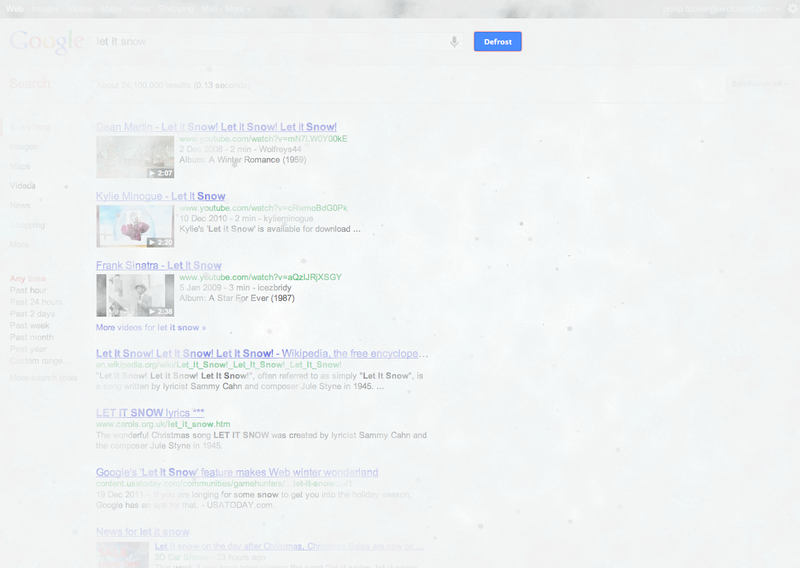 Once the page becomes completely frozen the search button even becomes a “Defrost” button!! Once again we hope you all had a wonderful Holiday and we wish you all the best in the new year! Remember keep checking back as we’ll begin updating a lot more frequently again! i think this also applies to ‘happy new year,’ too. yeah we noticed that as well! Just makes us wonder if there are any other little easter eggs they’ve hidden as well! Does it? I tried that and didn’t see anything happen, is there a different spelling or something?